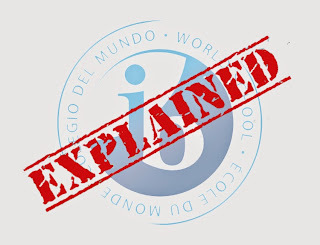 IB International Baccalaureate (IB), formerly the International Baccalaureate Organization (IBO), is an international educational foundation headquartered in Geneva, Switzerland and founded in 1968. • Number of Schools: Approx 3500 worldwide & 130 in India. • Areas of Operations: 144 Countries including India, USA, UK, Australia etc. 2. Students can apply to Foreign Universities wherein CBSE and ICSE board is not recognized. 4. Curriculum based on application and experimentation. 5. Better Infrastructure of Schools. 6. Best option if parents are NRI, or are planning to move abroad. All universities in India accept the IB Diploma as equivalent to Class 12 qualification from an Indian board. However, acceptance alone does not guarantee entry into a course. Entry is based on competition as places may be limited and some courses may have additional selection requirements. It is advisable to check with the institution of interest to determine the entry requirements for particular courses of study. For greater detail on recognition of IB programmes in India, please refer to the report referenced at the bottom of this page. The Association of Indian Universities (AIU) recognizes IBDP as a qualifying secondary school diploma for admission to Indian universities. The AIU also has a conversion formula to convert the IB grading scale (1 to 7) into percentage equivalents. The Examination Pattern is quite different from other boards like CBSE, ICSE. Examinations for IBDP program are conducted by the IB Research Unit currently based in Cardiff, UK. All IB schools around the world conduct examinations simultaneously choosing one of the two examination cycles, May or November. Each school is assigned approved IB Examiners based in different parts of the world for different subjects. Grading is done based on criterion referencing and moderation is done by the Cardiff Office. Assessment is based on student’s actual learning, understanding and interpretation of a topic and not merely on memory recall ability. The Final grade is not merely the achievement score of the end of the program examination but is a combination of the student’s project work and performance through the two years of the DP program + the final examination. IBDP is recognized for Bachelor’s degree program in all higher education institutes in India, with growing awareness of the merits of IBDP Programs many institutes are encouraging students from IBDP background. As a matter of fact, IB students are successfully pursuing their undergrad programs in some of the best colleges of india such as D.Y Patil College in Pune, St. Xavier's, Mumbai, HR College of Commerce, Mumbai, Fergusson College in Pune, Lady Shri Ram College in Delhi, Loyola College in Chennai, Stella Marie college in Chennai, Baroda Art Institute, National Institute of Foreign Technology NIFT to name a few. However, the IB is not a substitute for these standardized university entrance tests. Most U.S. universities require the SAT-1 (math & verbal ability) test; many also require the SAT-2 (individual subjects) test. Most universities in the U.S., Canada, and Europe require proof of adequate English ability for non-native speakers of English, through the TOEFL exam.